Arts Project Australia is supported by a highly qualified team of board, staff, and volunteers who support, promote and advocate for our artists. Sue Roff has had a broad career in arts management. 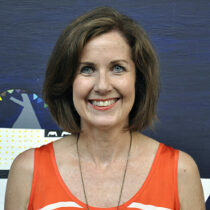 For the past 9 years she has held the role of Executive Director at Arts Project Australia. During this time, Sue has driven a strong increase in profile for the organisation, its artists and unique studio practice. 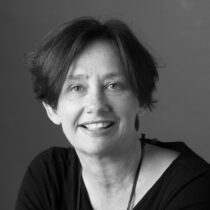 Prior to this Sue has held roles as National Manager, Cultural Development at the Australia Business Arts Foundation, Community Relations Manager at RACV, Sponsorship Manager at Melbourne Theatre Company, and kick started her arts management career as National Administrator with the Australian Girls Choir. Sue is experienced in project development, fundraising, sponsorship, and marketing and has chaired the boards of Strange Fruit and the Victorian Actor’s Benevolent Trust. 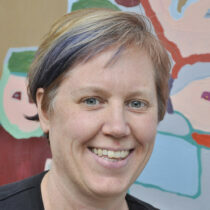 She is currently the President of the Public Galleries Association of Victoria. 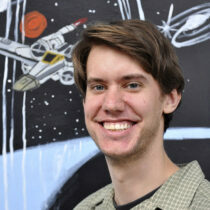 Damien works as Executive Director with Melbourne International Comedy Festival. His career includes leadership positions in the areas of organisational management and governance, communications and marketing, and private support. His executive and non-executive experience crosses festivals, performing arts, visual arts, artists with a disability, arts for young people and tertiary arts education; and he has held national leadership roles in the government, not-for-profit and corporate sectors. 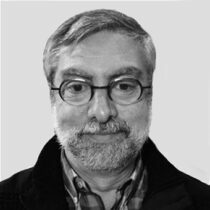 Damien is a Board Member of the Georges Mora Fellowship, a Member of the Academic Advisory Board for the Arts and Cultural Management Program in the Faculty of Business and Law at Deakin University and he is a member of the Australian Institute of Company Directors. 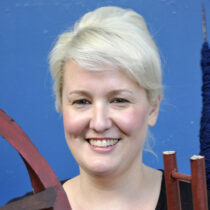 Virginia Lovett is the Executive Director and Co-CEO of the Melbourne Theatre Company. Prior to this she was Executive Director of the Melbourne International Comedy Festival where she delivered a major funding increase and in 2011 achieved record attendance levels. 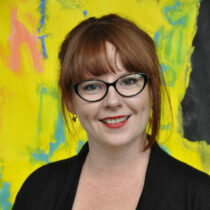 A highly experienced and well-respected arts executive, she successfully designed a range of strategic initiatives through her roles at Melbourne International Comedy Festival, Sydney Festival, Zoos Victoria, Sydney’s Powerhouse Museum, the Art Gallery of New South Wales, Sydney Theatre Company and the National Gallery of Victoria. She has also worked as an advisor for state ministers in Victoria and New South Wales. 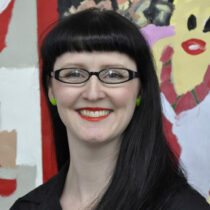 In 2006 she was awarded a Churchill Fellowship and is a graduate of the Museum Leadership program. 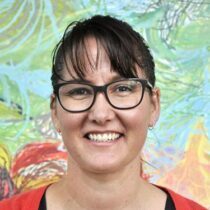 For the past five years she has been a mentor for the Australia Council Emerging Leaders Course, Teach for Australia and the Council for Museum Directors. Frank's background and experience in governance and financial management spans senior roles in the corporate, public and not-for-profit sectors. He is a Fellow of Chartered Accountants in Australia New Zealand, and a member of the Australian Institute of Company Directors. Michele is a professional People and Performance leader with a sound understanding of strategic and operational HR practice gained from over 20 years’ experience. Michele has a passion for excellence in people initiatives with experience in a range of complex and diverse environments within Australia, New Zealand, South East Asia and the Pacific, often global and geographically spread. She has worked across Engineering, Construction, Property Development, Hospitality, Diplomatic and Retail sectors and her experience encompasses the full HR spectrum, with particular emphasis on setting strategic direction, organisational development, leadership, change management, talent and performance management and employment relations. 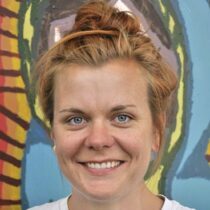 Amanda has a background in Fine Arts education and is currently a practising artist with extensive links to a range of contemporary arts institutions and organisations. 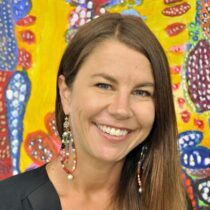 As a collector, advocate and philanthropic supporter of the visual arts in Melbourne, Amanda has developed strong networks in this sector. Kate is a senior strategic communications executive with more than fifteen years experience in client, agency and media environments working with some of the world’s leading brands, including some of Australia's premier arts organisations. 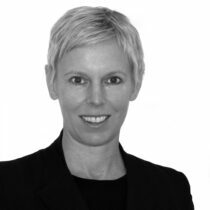 Prior to moving to Melbourne in September 2013, Kate was the National Client Strategy Director at Network Ten. She now heads up strategy at digital agency Red Engine. 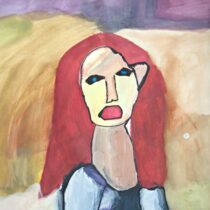 Michael retired from a long career in Adolescent Psychiatry in 2015 to have a ‘retirement’ career in visual arts advocacy. A passionate art collector and patron, he is also a voluntary guide at the NGV and a long-term supporter of ACCA and Gertrude Contemporary (including the provision of a project space – Gertrude Glasshouse). 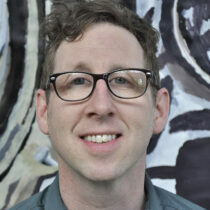 Michael has many connections in both the private and public art sectors and is particularly enthusiastic about mentoring artists. Rami is a senior partner at ShineWing Australia, an Accounting and Advisory firm. Rami leads the Assurance & Advisory Division for Australia with over 15 years’ experience in both assurance and transaction services. His experience includes the audits of listed groups – both domestic and international, unlisted public companies and large private groups, with specialised knowledge of financial services, real estate, retail, technology, professional services the arts. 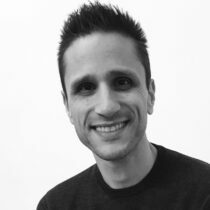 Rami is a member of Chartered Accountant’s Australia and New Zealand, graduate of the Australian Institute of Company Directors and he is a Registered Company Auditor. 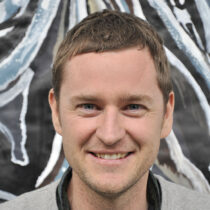 Rami is the former Honorary Treasurer for the Public Galleries Association of Victoria. Maureen has a Social Work degree and qualifications in Assessment and Training, teaches adult students and is passionate about adults having the opportunity to return to study. She also advocates for people with a disability at the Northern Hospital as a member of a board that meets to address complaints or seek advice from consumers regarding the patient experience in the hospital. She also attends the Whittlesea Disability Network (WDN) which is supported by the Whittlesea Council, and I often take comments, complaints and compliments from the WDN to the hospital board. 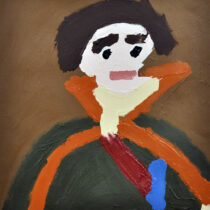 Maureen's daughter is a longstanding artist in the APA studio. In November 2015, Maureen was runner-up in the National Carer Awards, Family Carer Section. 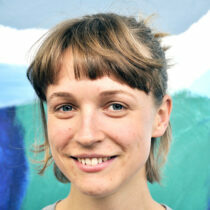 She is delighted to join the Arts Project board and looks forward to a great new adventure.